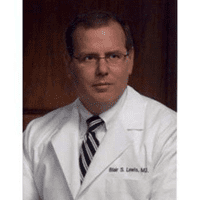 Dr. Lewis listened carefully to my issues and provided thorough explanations. Since this was my first visit it wasn't possible to provide a diagnosis, but the course of action suggested by Dr. Lewis made sense. He was warm and charming. Looking forward to diagnosis and treatment plan. Was relaxed and all my questions he throrughly went through - no rushing even though he had an office full of patients - well done. Now if he does this well on the procedure -- bRAVO !! Very professional, personable and a good sense of humor, which always helps! I had a very good experience with Dr Lewis at my recent visit. He is very thorough and comforting when discussing medical issues and procedures. I have complete confidence in his abilities. Courteous, warm and friendly staff, and timely appointment. Dr. Lewis is very personable, engaged, and down to earth. He listens well and gives clear and understandable feedback that clearly reflects his notable expertise, depth of knowledge, and experience. An all-around outstanding experience on all levels. Highly recommend. The most anyone could ask for. I do not know what I would do if Dr Lewis were not my Gastro physician and aside from being the best in his specialty he is so smart and looks at the whole picture and thinks outside the box. Nothing is an absolute at times but his medical expertise is a comfort. Susan R. Also. , my sister is his patient for many years as well and she is completely of the same mind as I am. Fast (no waiting) and fun. Blair has a great sense of humour and I always enjoy that. A colonoscopy - fun? But he makes it a non-event and we laugh. That's good doctoring! Dr. Lewis was great. He was very clear in everything he discussed and what he viewed as the best medical plan for me. GREAT EXPERIENCE.. NICE DR AND SO SMART! It was a pleasure meeting with a doctor who was a good listener and actually had constructive comments in response to my symptoms . I had seen 2 other doctors for the issues that I have , and both commented that it was typical & their advice was to take a pill . I came to see Dr. Lewis because the meds recommended by the other doctors did not seem to be working and Dr. Lewis is approaching this issue in a more investigatory way . Thank you , Dr. Lewis. quick, to the point and honest. would deifnitely come back. 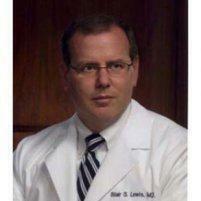 I have been using Dr. Blair Lewis for the past 20+ year no one is better qualified and knowledgeable than he is. I would highly recommend. Susan S.
At 80, I find myself battling health challenges. Most are manageable and none were of sufficient concern to frighten me. That was until I began experiencing severe stomach pain. I was even imagining having to go to the hospital to ascertain the source. Enter Dr. Lewis. From his initial greeting to his encouraging farewell handshake, I felt taken care of. He is deeply knowledgeable medically, reinforced by a warm and caring demeanor. His explanation and recommendations soothed my fear. He is an outstanding physician and I feel grateful and no longer terrified. Complete confidence in Dr. Lewis. Listens and explains and is very reassuring. Very satisfied.